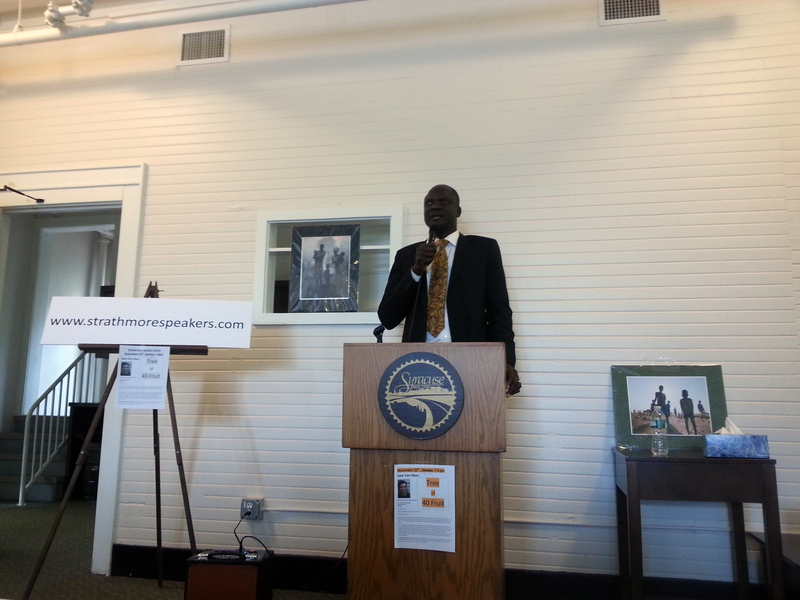 Sundanese ‘Lost Boy’ John Dau kicked off the 2014-2015 inaugural season of the Strathmore Speaker Series at the Firebarn on October 19, 2014 with an inspiring story about his journey from his war-torn homeland, to Ethiopia, Kenya, and finally the United States. In 1983, John Dau fled his homeland of Sudan on foot when his village was attacked by government troops during the Second Sudanese Civil War. After spending nearly ten years as a refugee in Ethiopia and Kenya, and with the help of Catholic Charities, he arrived in the U.S. in 2001. Since settling in Syracuse, NY, he has earned an associate’s degree from Onondaga Community College and a bachelor’s degree in Policy from the Maxwell School of Citizenship and Public Affairs at Syracuse University. 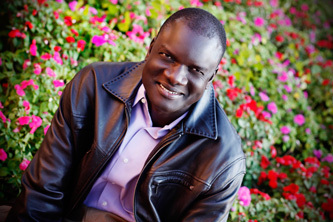 In 2007, he started the John Dau Foundation which aims to transform healthcare in South Sudan. He was also featured in the 2006 documentary, God Grew Tired of Us, which won the “Grand Jury Prize: Documentary” and the “Audience Award” in the “Independent Film Competition: Documentary” at the Sundance Film Festival.